Caring for your lawn grass is easy. With our range of easy to use after care products, your turf grass will continue to grow well. Green represents healthy lawn grass – we want you to have healthy grass and with our grass seed products we can help you patch up any worn or brown lawn sections for that continuous green colour. We also have water saving crystals to keep your grass moist and reduce your watering time. A healthy lawn can prevent a bug and pest invasion. Sometimes these invasions are unavoidable, so we have the products for all grass types to treat all insect and pest infestations to get your lawn back to healthy again. Act quickly before they spread and become a bigger problem. A healthy lawn is a fed lawn. Lawn fertiliser is a good food source for healthy lawns, greener colour and to keep away weeds, disease and insects. Turfgrass provide you with a range of npk fertiliser, slow release fertiliser and lawn food to match all grass type sand needs. Different soils will require different lawn fertilisers at different times of the year - so ask us for the right one for your lawn. 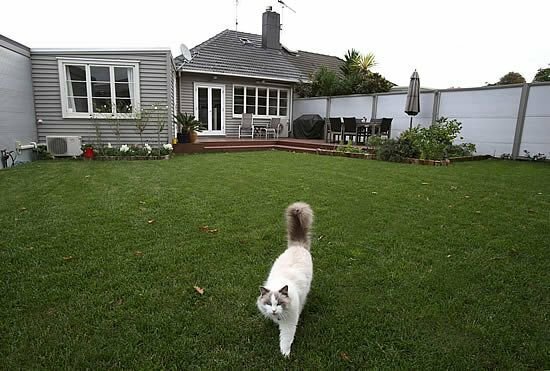 Healthy grass makes your house feel like a home - many happy times running around, having fun with family and friends. Turfgrass can help you choose and maintain your Readylawn. Lawn seed, fertiliser and chemicals including Wetting agents are available to purchase from Turfgrass specialists Ltd. Your green lawn grass is easily maintained - with the right knowledge and products, your grass will thrive in all conditions with minimal effort. The health of your soil is determined by the health of your turf grass. Rich soil is one where the water, air and nutrients can travel through it, encouraging long roots, strong leaf growth, and replenishing soil regeneration. Pests, fungi and weeds love to invade unhealthy grass. Healthy lawns encourage good microorganisms, insects and plants to grow while discouraging pests, fungi and weeds. Turfgrass can advise how much water to use on your lawn. We even have watering agents to make it that much easier. Knowing the right mowing technique makes it easy to have lawn pride at your home. There are many different From npk fertiliser, slow release fertiliser, to organic grass fertilizer, we can tell you which one is best for your lawn. We’ll even tell you how to apply and the best time of the year to spread it over your lawn. Is your lawn grass covered in weeds? We have the right product to kill weeds on the spot and stop it spreading. We also have grass seed for those bare patches. Is there a pest eating your beautiful turf grass? We have lots of products for any type of bug infestations to stop them in their tracks. © Turfgrass Specialists Ltd 2019 All Rights Reserved.